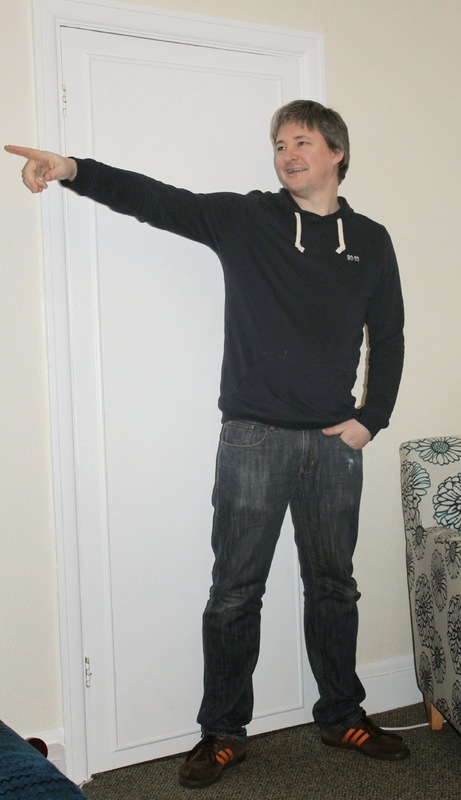 With Valentines just around the corner (Less than a week to go!) it's time to get your thinking hats on and start considering what to buy to show that special someone in your life just how much you care about them! If you're a bit stuck for ideas, don't fret ... Sparkles & Stretchmarks has come up with a whole host of suggestions from the more traditional to the unusual! First off, one of my favourite things to be gifted is a subscription! I currently have a beauty box subscription and a pregnancy box subscription - there's just something fun about receiving a subscription box in the mail! I've just discovered this fab Subscription Box Finder which compares all the options! These beautiful set of 3 retro Stacking Suitcases from Flamingo Gifts makes a beautiful gift for any vintage decor enthusiast! They come in so handy as they can be used to store all sorts of bits & bobs - personally I use mine on my dressing table as you can see from the photo above - I use the largest suitcase for storing extra make up, the middle for random bits & bobs that would otherwise be cluttering up my bedroom and the top one for my perfumes! 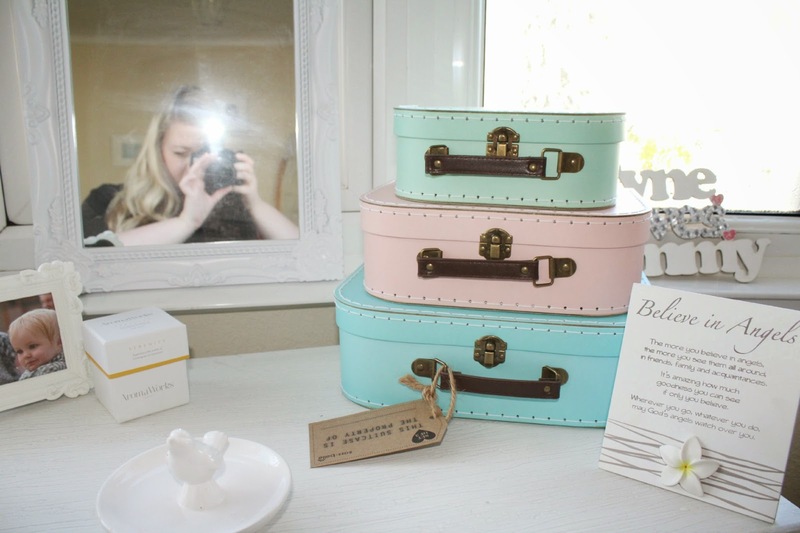 It's lovely to have everything so neat and organised, and the pastel colours really stand out and give a very pretty feminine look to the whole dressing table area! The Cloud Nine Magical Duet makes an ideal gift for anybody who needs a little touch of magic in the haircare department, and in particular for those busy mummies among us! The set contains a 50ml bottle of Cloud Nine Magical Potion and a 50ml bottle of Cloud Nine Magical Remedy. The Magical Remedy can be used in 3 different ways - as a leave in conditioner, as a standard rinse-out conditioner or it can be left on the hair for 15 minutes as a deep treatment repair conditioner. I prefer to use it as the latter, and find it to be such a fantastic pick me up! I've been using it once every 10 days or so, a little bit goes a long way and it's a real treat for my hair - plus it smells amazing! The Magical Potion is an intense heat protector and when sprayed liberally on damp hair, it can reduce blow drying time by an average of 50% - ideal for mums on the go! 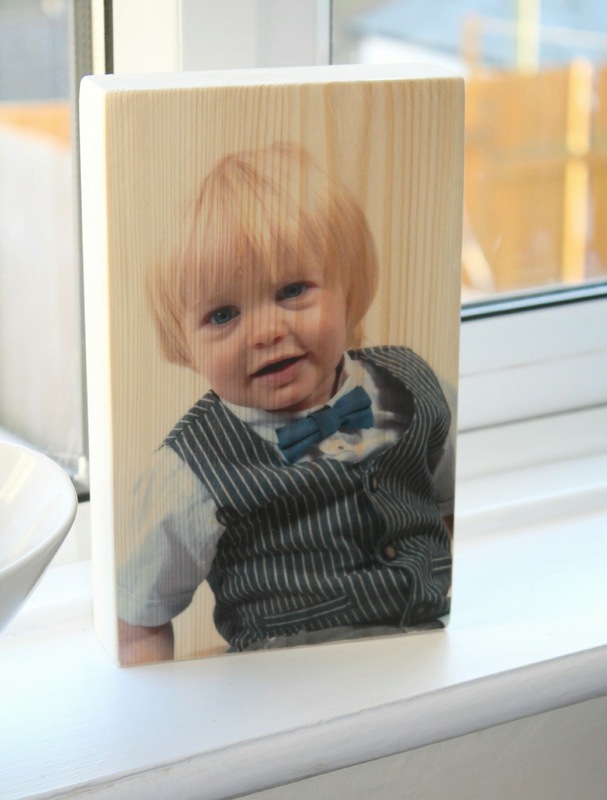 For something truly personal, a wooden photo block is surely an ideal option for Valentines Day. Feather & Twig offer the chance to have your favourite photograph handprinted onto a beautiful wooden block - making a stunning keepsake and original gift for any occasion. For Valentines Day in particular a favourite shot of you as a couple, your wedding photograph or your partners favourite photo of you would all make such a unique and beautiful gift. We absolutely adore our printed block showing one of our favourite images of Tyne...it looks absolutely stunning on our mantel and draws comments from everybody who visits. I love a company who go above and beyond a consumers expectations and I truly feel that Feather & Twig do that by putting such extra effort in to their wrapping - the blocks come wrapped in natural brown paper and twine which really adds to the feel of the gift, and features a beautiful feather and twigs! A small wooden block is available for £60, and prices vary based on the size chosen. These beautiful body lotions and body washes from Ted Baker make a beautiful gift - their packaging gives a real sense of old fashioned romance! The No 3 Furbetts Place is definitely my favourite scent with its delicate lemon, jasmine and amber crystal scent - but with 3 beautiful scents on offer there is bound to be something for everyone. They are available at just £8.00 from Boots stores and online. LipGlam Natural Lanolin Lip Balm is a fast acting lip balm that gives instant relief from dryness and locks in moisture for 8 hours - it leaves lips looking and feeling soft and dewy, and has a lovely plumping effect. It is 100% natural and you know it's doing you some good as well as helping you to look better - it enhances your skins resistance to environmental toxins, and is proven to reduce skin roughness by up to 40%! For those of us who like to have a bit of colour but are naturally pale, the world of fake tans can be overwhelming - so I was intrigued to give the Gentle Bronzer from renowned tanning brand Cocoa Brown a whirl. The bronzer is ideal for busy mums and us pale girls alike as it's quick and easy to apply, and unlike other fake tans - it doesn't give an instant dark appearance but rather allows you to build up your bronze glow over time - allowing for a more natural look! I am really enjoying this product and will definitely repurchase once its gone! Available from all Major Retailers, rrp £5.99! 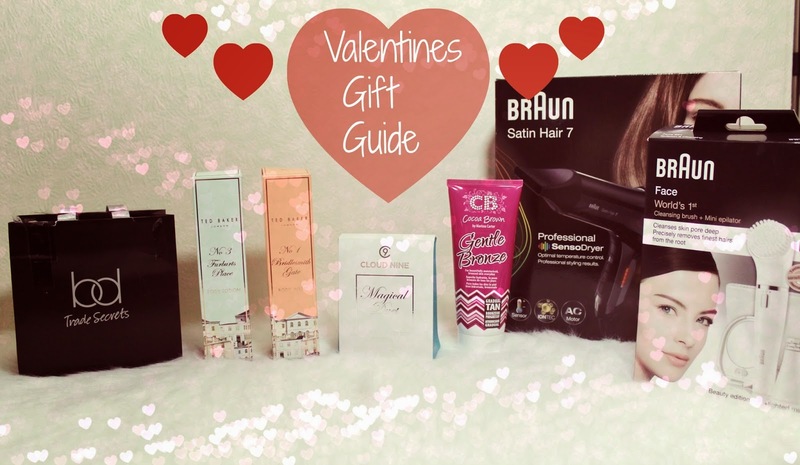 Beauty products are always a big hit with gadget loving ladies like myself, and Braun have two fantastic products on offer! The Braun Professional Senso Dryer is a fantastic new hair dryer with a built-in Thermo sensor which means it measures temperature 600 x per minute - tailoring the heat level to give glossy and healthy looking hair in optimum time. The ulta-narrow nozzle is ideal for really getting to every last strand of hair and allowing you to achieve the exact look you want - it's not too heavy either which can be a real bug-bear for me with hairdryers! The Braun Face is a fantastic 2-in-1 facial cleansing brush and epilation tool - it allows you to remove hair from areas such as eyebrows and upper lip up to 200x faster than manual tweezing and gets it up to 4x shorter than waxing! The cleansing brush head also gives a 6x deeper clean than manual cleansing alone, so you'll be feeling daisy fresh for your Valentines date! Like every body else, I'm a massive fan of the gorgeous Urban Decay Naked palettes but I can't always stretch my pennies that far...so I welcome anything that comes close at a fraction of the cost with open arms - and that is exactly what this palette does! For a mere £3.99 this palette is an absolute must have for any beauty lovers collection, and an absolutely blinding little Valentines gift for the one you love - major brownie points for less than a fiver!!! These hit the shelves on 11th February in Superdrug so just in time for the big day! Staying on the theme of cosmetics, who doesn't welcome new nail polishes?! Soigne were not a brand I had heard of before - they are a French luxury brand whose products are made from 85% plant sourced raw materials and do not contain any harmful carcinogens. I was instantly struck by the beautiful packaging which was reminiscent of Chanel style elegance - each nail polish is extremely well packaged and protected too which was nice to see, it seems no expense has been spared here! I tried out four shades (right to left): Le Poivre, Vodka Bleu, Cerise and Sirop De Rose. They are each stunning in their own way, but the Le Poivre is my current favourite - I was VERY impressed with the formula - it is so sleek and silky when dry, ever so easy to apply - it literally glides on, and dries very quickly! I have always been a fan of Nails Inc in the past but I can firmly say that Soigne are my new favourite nail polish brand! These polishes would make such a lovely gift, and when you purchase 3 shades online you receive a free gift box - ideal! I love the idea of these quirky Love Pillow cases as a bit of an unusual gift idea! There are over ten designs to choose from which are simple and understated but adorable nonetheless! Each pillow case is made from high quality polycotton and fits standard-sized pillows. Each set of two pillow cases costs from £16.99 (plus P&P) and are available from www.lovepillowcases.co.uk. 90:10 Man were a brand I hadn't heard of until recently - something that always appeals to me when discovering a new company is the story behind them...where did they come from? What did they start? "90:10 is a new and exciting brand for men who consider themselves to be 90% Grown up and 10% not. Encapsulated within the brand's message is some recognition for a guy for getting his act together but at the same time reminding him that that this doesn't mean that he is now over the hill...far from it! We all have responsibilities but I don't accept that just because I am no longer a teenager or in my early 20's at college, I have lost the ability to have fun or have forgotten how to enjoy myself...Far from it! This is what a guy is expressing about himself if he wears 90:10..For the lion's share of the time, we all have to take life seriously but not all the time! My vision is to marry humorous and innovative branding to stylish and great quality clothing delivered to the customer at the right price in an environmentally responsible way." Personally, I find that message very appealing - and I know that my 40-going-on-18 partner would feel exactly the same way! Once you become a Dad (Or a mum!) people seem to start questioning you on little details all the more...clothing be one of those details! Do Mums still shop at New Look?! 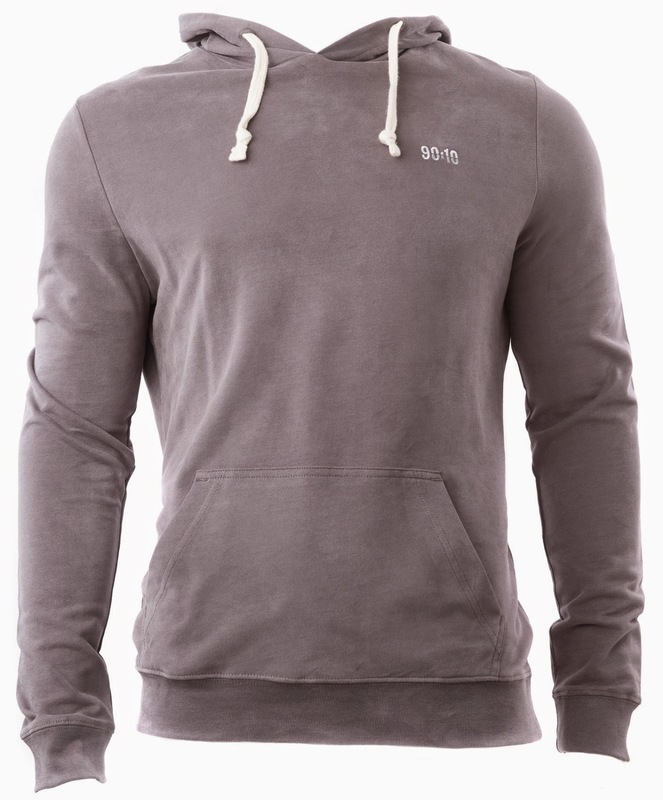 Should Dad's still wear hoodies?! Well, of course they should!! 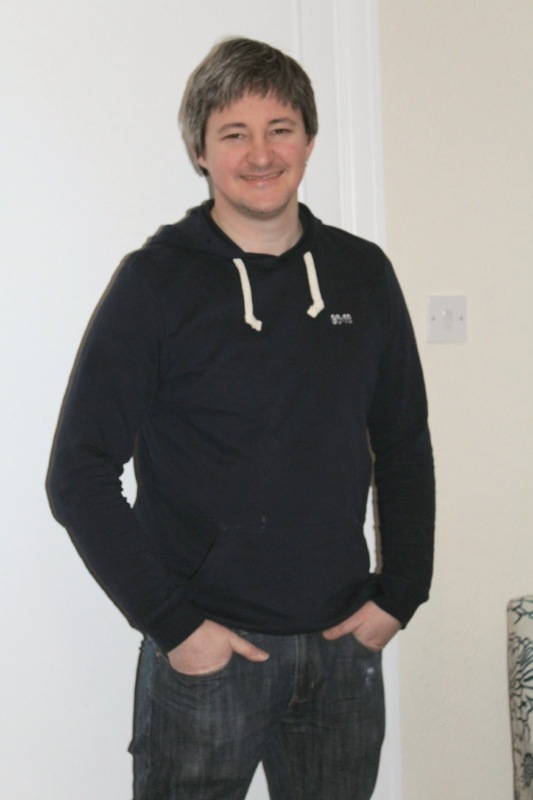 Jon absolutely loves his new 90:10 man hoodie and has been practically living in it ever since it arrived - he says it's the most comfortable item of clothing he owns, and it's given him a resolution to one of his biggest shopping problems - shopping for hoodies and outerwear as a "middle aged" man can be a nightmare - you're a bit too mature for the student-style offerings in New Look but still too young to resign yourself to the fleecy nightmares in the supermarket aisles - 90:10 man is definitely the answer! Offering classic style with a touch of youth! 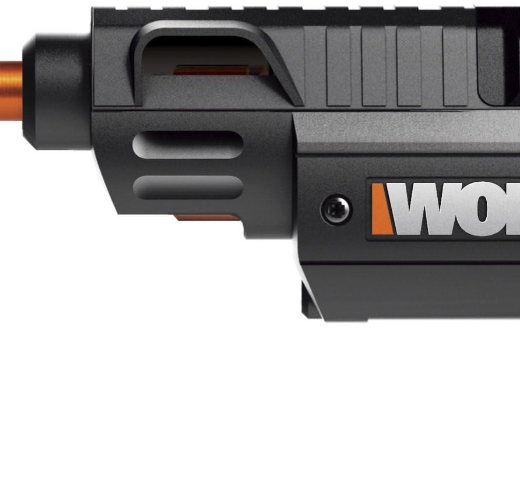 If the love of your life is a bit of a power tool fanatic, then look no further than the great gadgets from Worx Tools - in particular the Worx SD ! This is one of the most convenient cordless screwdrivers around - it comes loaded with 6 different SD bits, and even has an LED light to make working in dark corners easier! It has a powerful 4V Maxlithium battery which means it holds it charge much longer than standard batteries and is always ready to go! For something more traditional, you can't go wrong with chocolates! One of my favourite brands Toblerone have released two limited edition packages for Valentines Day which make the perfect little treat! 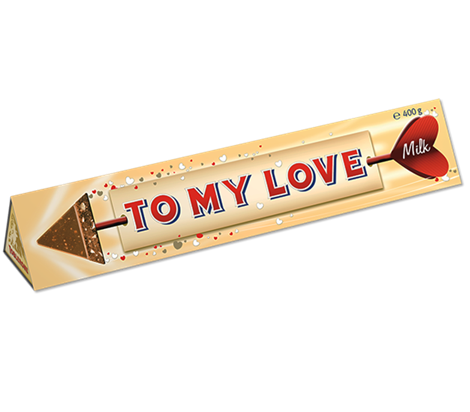 The "You're My Number One" triangle bar (£1.15) is a less chunky version of the traditional Toblerone but equally as tasty, and the 400g "To My Love" bar (£4.99) is perfect for sharing while snuggled on the sofa this Valentines! 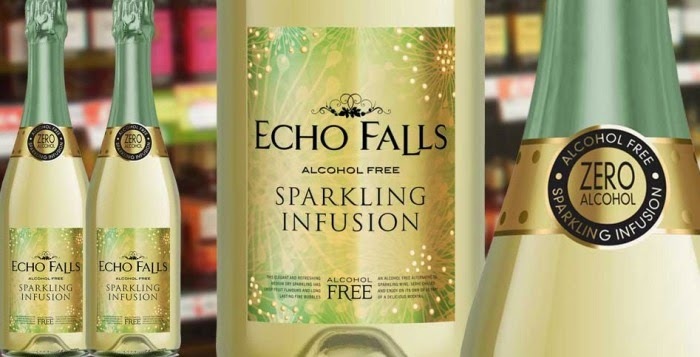 And finally if you fancy a bit of bubbly to celebrate this Valentines Day but, like me, find yourself a bit pregnant and unable to partake in a glass of fizz - then Echo Falls Alcohol Free is just what you need! The Zero Alcohol Sparkling Infusion looks and tastes just as special as the real deal, and really hits the spot when you fancy a bit of fizz with your romantic Valentines dinner!